Down pillows work like a goose-down mattress with loads of feathers and down for comfortable, breathable and soothing hug. Down pillows possess superior properties than synthetic alternative though they cost more for cloud-like sleeping. 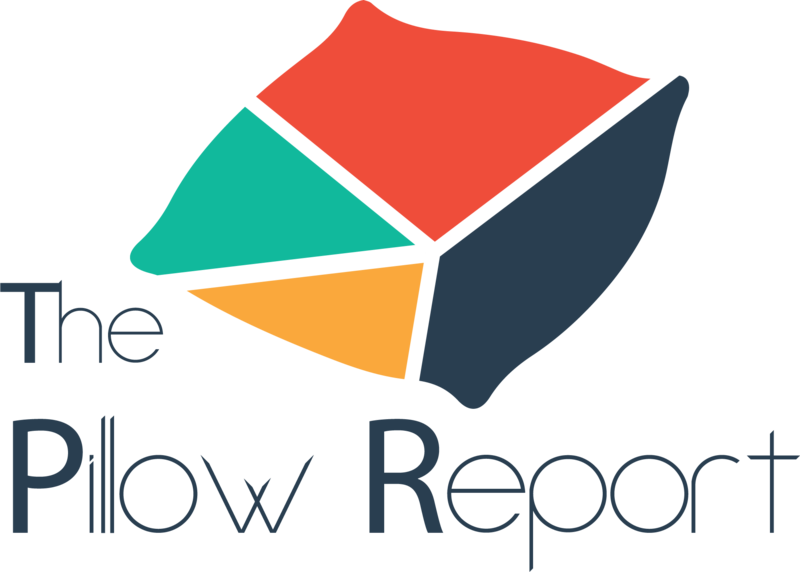 Royal Hotel’s Down Pillow Review illustrates a product that rules the roost with ultra-soft, cozier, and super-lightweight qualities. It has minimalist construction and sumptuous fluff to give your bedding ensemble a classy boost with a down pillow. The pliable feather down core attunes to your head shape for proper positioning with your spine. Its 100% cotton cover satiny and lush texture helps keep your head dry and crisp. Its high fill power improves density and loft, increased thread count renders better softness while it’s allergen-free to soothe and support snoozers. Drift off to heavenly sleep as you cradle your head with a 500 thread count barrier weave that’s magnificently sheen. A higher thread count per square inch of fabric makes it elastic, loftier and fluffier. The 500 thread count shields against allergens and dust mites. 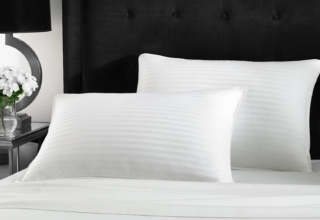 All Royal Hotel’s Down pillows undergo factory-sealing in an elegant zippered package. 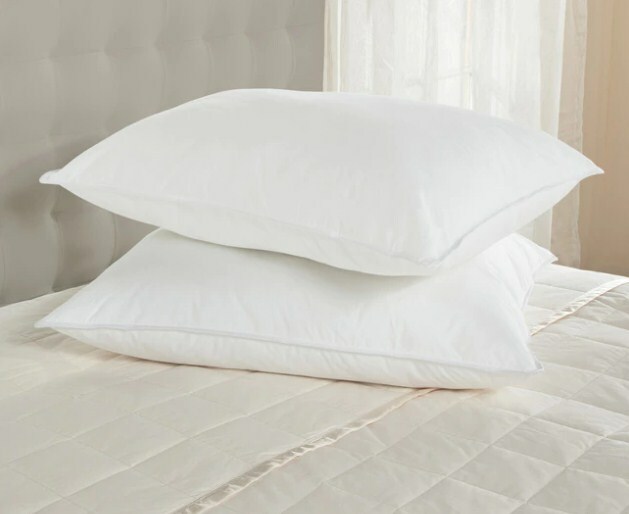 Besides acting as a shield against allergens and bed bug penetration, the cotton cover help prolong the natural life of the pillow by protecting them from saliva, perspiration, grime, and liquids. It’s also edged with double silky piping designed for robust, aesthetic look and cleaner finish that’s perdurable. 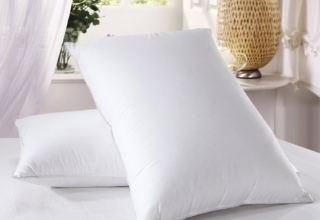 Hypoallergenic down alternative down pillows add an element of first-class luxury and comfort to your bedroom. It packs the highest hand plucked 75% down and 25% small feathers that sprout from a central quilt position in cold climate birds known for weightless, fluffy filaments. The structure captures air giving it insulating properties. The Royal Hotel’s Down Pillow contains massive down clusters with a higher fill power for improved insulation and diminished weight. 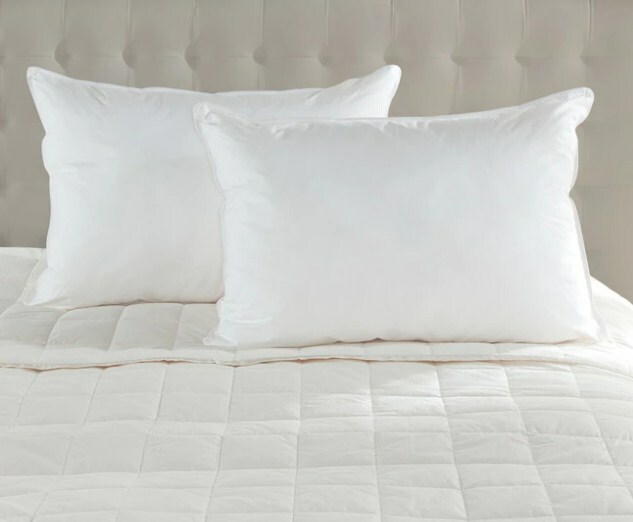 White goose down provides optimum coziness and pleasant dreams. You can fluff the pillows in a dryer for an overly lush down filling. Down clusters amplify or loft to fill up space and capture tiny pockets of air inside their filaments to generate tons of insulating pockets. 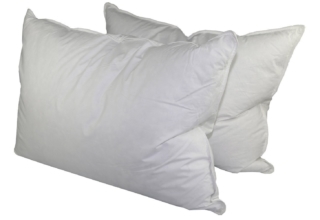 Punching in at 750 Fill Power, the Royal Hotel’s Down Pillow boasts first-rate quality in for the long haul. 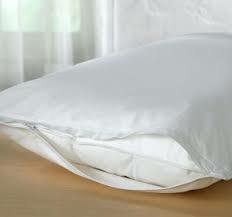 Its extra firm juxtaposing fill weight and down prefilled within the pillow shell. With 45 oz fill, it has a natural spherical shape with better loft. Royal Hotel’s Down Pillow uses chunks of large clusters to fill the pillow to 45 ounces for a firmer, warmer and lightweight pillow. It’s firm, supportive with a cushy feel that’s perfect for a space-like sleeping. The cotton cover prevents feather leak out. If you fluff it, it maintains buttery-soft loft for enduring comfort and support. Deluxe 500TC cotton cover offers a fade-and-stain-repellent, as well as a wrinkle-resistant surface. Pat, the Royal Hotel’s Down Pillow to expel the air trapped and freshen it for odor-proof filling. Undoubtedly, down clusters and feathers will retain comfort and support many years down the line than synthetic materials. Piped edged and double stitching not only adds a classic style and improves durability of the down pillow. The luxury down does not tear, fray or shrink prematurely, it’s affordable and dry-cleanable. It adds a cloud of comfort with a lightweight, slick and breathable cotton cover that feels healthier and more durable than traditional down. 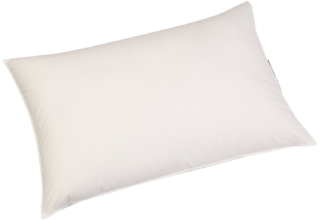 Allergen-free, the Royal Hotel’s Down Pillow offers a purified white padding suitable for all sleepers. It’s made from 100% natural fill-meaning it’s anti-allergic, anti-microbial and bacteria-proof. It’s rigidly sanitized to eliminate oils, bacteria and biological contaminants as well as chemicals. Nonporous cotton cover prevents the infiltration of dust mites, fungi and bacteria. It’s naturally hypoallergenic to shield your health from these bedroom invaders. You will not need extra allergy casings or worry about moulds; it will diminish the likelihood of allergic reactions or symptoms. It will help you avoid sniffles as it’s an allergy-proof bedding designed to protect against dust mites, mildew or mold. Why should you use Royal Hotel’s Down Pillow? 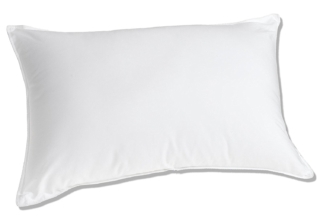 Royal Hotel’s Down Pillow 750 Fill Power and 45 oz fill makes it loftier, fluffier and firmer for supportive sleep. It cradles your head as you drift off to sleep to feel like floating on a cloud. The cotton cover prevents feathers from poking through while it fluffs with occasional patting. The factory-sealed pillow comes in a beautiful zippered package for a luxurious and comfortable sleeping experience. Down’s softness, breathability, and insulation bring high-end hotel quality right in your bedroom. 100% cotton cover makes it elegant for pleasant dreams. Thread count connotes threads per square inch of cotton, the Royal Hotel’s Down offers a super-soft and durable shell. The higher thread counts make it denser and more robust. It won’t tear, wrinkle or permeate feathers. Royal Hotel’s Down possesses subtly large clusters and higher fill of 750 for improved quality. Down feathers lead the pack with their lavish and literal “feather-like weightlessness” superior to feathered pillows regarding quality. 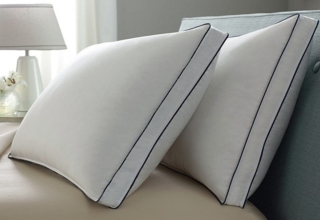 Measuring 20” x 28”, the set of 2 down pillows available in standard/Queen also boasts double silky piping on the seams for an ultra-durable, aesthetic appearance. Edging with double silky piping provides a transcendent finish. What’s the level of firmness offered by this pillow, medium or extra firm? It’s firm but highly soft with better support. Are birds tortured as some reports claim in harvesting down? No, it’s a byproduct of birds before slaughter for food. Is the fill power 45 oz a total for the pair? Does it contain pure down with no feathers? No, it’s a mixture of down and small feathers. It has more down than feathers per Cubic Square. Can I order one or you have to buy a pair? Yes, you will get a refund for the other. To sum up the Royal Hotel’s Down Pillow Review, this throw-cushion will keep its shape for the firm and steady support for your head and neck. Frequent fluffing will resuscitate the loft properties of the natural down. Natural down made from large clusters add strength to feathers to slow degeneration. It’s light and cuddly with superior insulation properties for hotel-level, lavish comfort. Double silky piping, 500TC, and 750 Fill Power mean shiftless down that will not denigrate qualities or weaken support. Down allows air permeability within the nucleus for odor-proof, breathable, and sweat-free sleeping experience. Allergen-free, it will provide long-term support for your head, neck, shoulders and soothe upper spinal parts.